Breathing fills the entire being with new strength. The mind gains peace, self-confidence and assurance. Yogi breathing eliminates the impurities from our blood, increases our resistance, stimulates the metabolism and has a particularly great regenerating effect on the endocrine glands. This rejuvenates the entire organism. It is a frequent occurrence that people who exercise rhythmic full breathing consistently for 1 or 2 months, joyously report the disappearance of certain symptoms regarded as signs of old age with which they did not expect improvement. 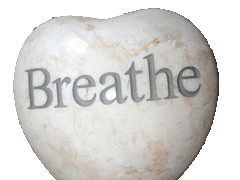 Rythmic Full Breathing (or Yogic Breathing) is a combination of Abdominal breathing and Thoracic (Chest) breathing. Execution: standing, sitting or lying down. By means of our consciousness we animate our entire trunk always following the wave-like movement of our inhalation and exhalation. In this way we experience complete equilibrium. Start by exhaling fully. Slowly breathe in through the nose, counting up to eight, and combing lower, middle and upper breathing in a wave-like movement. First, we expand our abdomen, then our ribs and finally we raise our collarbone. At this point our abdominal wall is already drawing in slightly and we begin the exhalation in the same manner as the inhalation, that is, by first drawing in the abdominal wall, then contracting the ribs and finally lowering the shoulders, while we let the air out through the nose. In complete Yogi breathing, the entire breathing mechanism, i.e. the lower, middle and upper lobes of the lungs are in uniform movement. Between the inhalation and the exhalation we can retain our breath for as long is comfortable. Therapeutic effect: we experience a great feeling of peace. This exercise completely airs the lungs, increases the oxygen and energy supply in the blood, sets up equilibrium between the positive and negative currents, calms the entire nervous system, regulates and slows the activity of the heart, reduces high blood pressure and stimulates digestion. Mental effect: the calming of the nervous system affects our mental condition. We are filled with a feeling of peace, quiet and security.